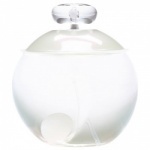 Cacharel Noa Perfume For Women from Slapiton. Modern yet timeless, Cacharel Noa is the visionary element in all of us. Cacharel Noa begins with Plum, Freesia, Peach, Peony, layered over a fresh green floral heart of Green Grass, Lily, Jasmine, Ylang-Ylang and a sensuous base of Coriander, Sandalwood, Tonka Bean and Vanilla.